We examined inferential reasoning by exclusion in the Clark’s nutcracker (Nucifraga columbiana) using two-way object-choice procedures. While other social scatter-hoarding corvids appear capable of engaging in inferential reasoning, it remains unclear if the relatively less social nutcracker is able to do so. In an initial experiment, food was hidden in one of two opaque containers. All of the birds immediately selected the baited container when shown only the empty container during testing. We subsequently examined the nutcrackers in two follow-up experiments using a task that may have been less likely to be solved by associative processes. The birds were trained that two distinctive objects were always found hidden in opaque containers that were always positioned at the same two locations. During testing, one of the two objects was found in a transparent “trash bin” and was unavailable. The birds were required to infer that if one of the objects was in the “trash,” then the other object should still be available in its hidden location. Five out of six birds were unable to make this inference, suggesting that associative mechanisms likely accounted for our earlier results. 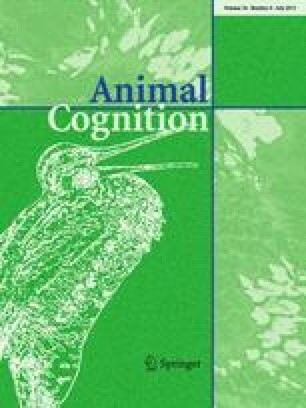 However, one bird consistently chose the object that was not seen in the “trash,” demonstrating that nutcrackers may have the ability to use inferential reasoning by exclusion to solve inference tasks. The role of scatter hoarding and social organization is discussed as factors in the ability of corvid birds to reason. The online version of this article (doi: 10.1007/s10071-013-0595-1) contains supplementary material, which is available to authorized users. We thank Robert Drugan, Winsor Watson, Michelle Pellissier Scott, and Robert Mair for their advice and support; Daniel Landry, Lindsey MacMillan, Alex Politis, and Erin Cuneo for testing and animal care. Funding was provided by Summer Teaching Assistant Fellowships and a Dissertation Year Fellowship though Graduate School at the University of New Hampshire.